Happy Fall everyone! The cooler weather is upon us which tells us that school is in FULL swing! This week I did my SLO Pre-test with my 1st and 2nd graders! It was an educational week for me, but it also made me think and reflect on assessment in general! When SLO’s came on the scene and assessments became part of teacher evaluation many teachers were very concerned, including me! However, I quickly realized that there were some positive outcomes too! 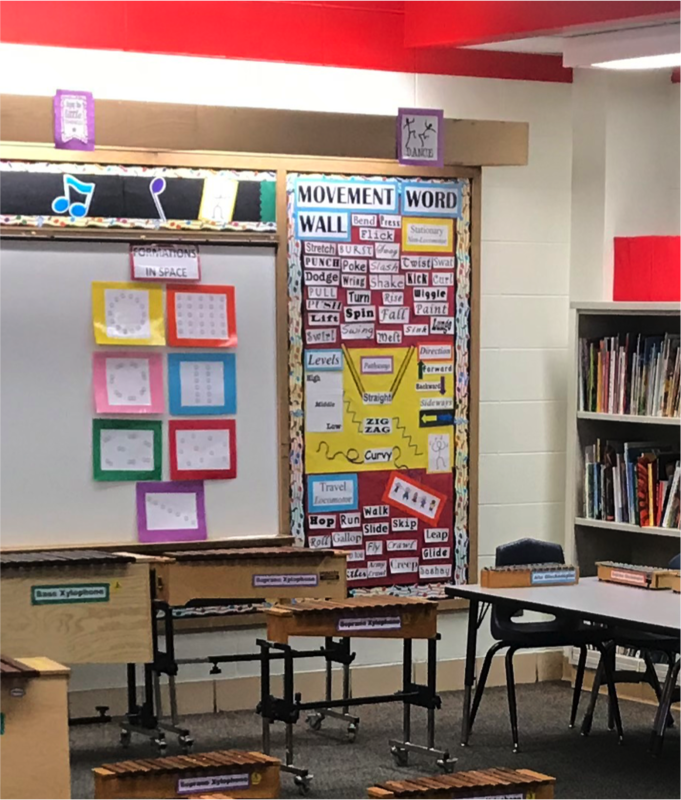 The big one is that administration started visiting music rooms and seeing the valuable curriculum that goes on in an active music classroom. Another positive outcome has been using the information from assessments to guide our planning. Assessment goes on in most music rooms most of the time! We informally observe students during class and sometimes we do a performance assessment of pitch matching or beat keeping. The SLO process of giving a pre-test, doing activities to teach the material, and then doing a post-test is a very different process. It gives us a true picture of what students know and are able to do! So although this past week was a little on the boring side with doing the pre-test all week with 1st and 2nd grade, I have already learned quite a bit about my students’ abilities! Here is what I’ve discovered as I administered the pre-tests this week! You can see my approved assessment in the Resources section of this website! 2nd grade’s SLO is all about compound duple meter. Their completed pre-tests were exactly what I thought. Students assumed that they should use quarter notes and 2 eighth notes since they have not been exposed to dotted quarter note or 3 eighth notes yet. You can see some of their pre-tests in the resource section of this website. They are really interesting. They either thought they should use simple duple meter notation or they just made something up! Many of them used shapes and other pictures to show the rhythm. I’m eager to get started on compound duple activities! I think there will be many “ah-ha’s” for my 2nd graders when they learn how the beat changes once it is divided by 3 sounds instead of 2. Next week I’ll be starting with the compound duple piece for their program in February! It is called “Snowman Races” and it is in Mixolydian and compound duple meter. They will be using it with the book Snowmen at Night which will be the book we use for their February performance! The entire program includes 8 original pieces that I wrote last year in different modes and you can find the whole program on my Teachers Pay Teachers store! I was worried about my 1st graders showing growth on their SLO assessment because I’ve taught quarter note, quarter rest, and 2 eighth notes and they have been reading rhythms really well! I was totally surprised to find out that although students can read rhythms and perform rhythms as a class, students cannot apply that knowledge to writing rhythms! So I am feeling better about this assessment and am confident we will show significant growth. You can see some of their pre-tests in the Resource section of this website! Next week I’m going to start doing some creative notating as part of 1st grade lessons! I’ve got some popsicle sticks, dry erase boards with markers, and I’ve also got some different sized pom pom balls to represent different divisions of the beat! 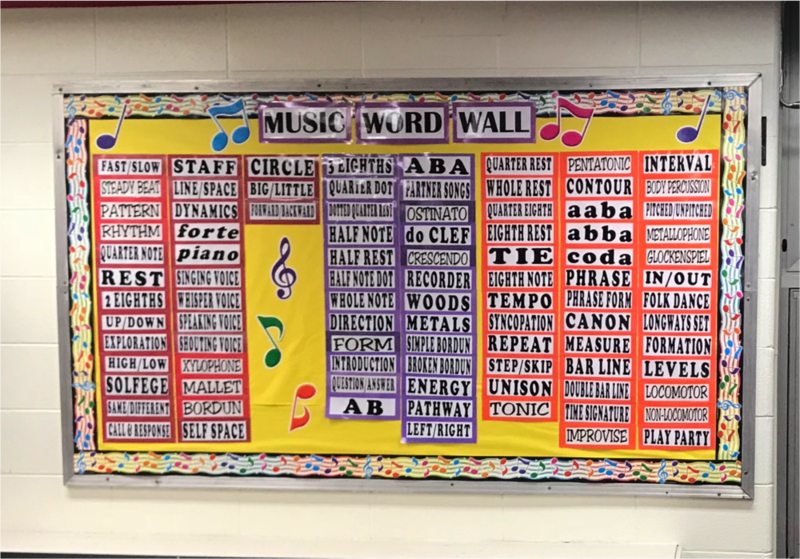 Hopefully, they will have enough experiences with writing patterns and creating patterns with quarter note, quarter rest, and 2 eighth notes that they will start to make the connection to their reading abilities! Stay tuned to see how this all comes out! Kindergarten started the week by finishing up “Jack and Jill” on barred instruments! They are already getting pretty proficient in knowing the high and low part of the instrument and knowing which way is up and which way is down! You can see one of my classes performing Jack and Jill to the right of this post! Our 2nd lesson this past week was one of my favorite Kinder lessons of all time - the book Imagine by Alison Lester! The book is about using your imagination to visit different animal habitats! We talk about how different animals move and I have them explore a few before I ever read the book. They have to move like the animals - NOT sound like them and that is the hard part! But it sets up some good expectations for movement in the future. Once we have tried moving without making the animal sounds then I read the book one habitat at a time and then play music for each habitat! When music is playing they get to move like an animal from that habitat and when the music stops they have to freeze so they can listen for the next one! This is one of the most joyful things to watch and you can see one habitat (the arctic) on the video to the right of this post! Feel free to email me if you’d like my list of music that I use for each habitat! But you can always just create your own too!! I’m eager to get back to regular lessons for all grades this coming week! I attended the Greater Chicago Orff Chapter workshop this morning and got some great things for my K-2 kiddos from Sandy Lantz and Gretchen Wahlberg. It’s always nice to get some new things to play with and add to my curriculum repertoire! Happy music making friends!